As a client, you have certain rights. By the same token, you also have certain responsibilities to ensure the best and most effective care for your pet. Considerate, respectful, and impartial care from every doctor and staff member. Accurate and easily understood information about your animal's health and Cummings Veterinary Medical Center policies, including payment policies. Know the names and positions of all staff members involved in the care of your animal. 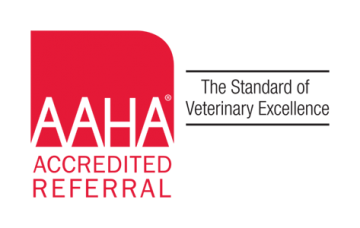 Receive care from properly licensed veterinarians and properly trained technicians. All specialists, interns, and residents are properly licensed. Know your animal's diagnosis, prognosis, treatment alternative, and risks and benefits of each alternative. Participate in decisions about your animal's care. Decline treatment, and to receive a full explanation of decisions on the part of veterinarians to decline treatment. Talk in confidence with staff members and veterinarians and to have your animal's health care information protected. Fair, fast and objective review of any complaint you have regarding Cummings Veterinary Medical Center. Disclosing relevant, accurate and complete information about your animal's health and history. Minimizing the risk of bites, scratches, etc., and avoiding the spread of diseases by limiting your and your animal's interactions with other animals. Recognizing the reality of risks and limits of the science of veterinary medical care. 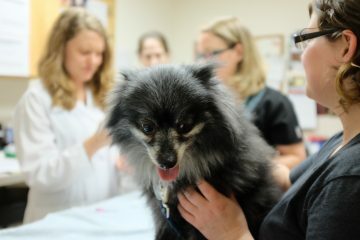 Maintaining the awareness of Cummings Veterinary Medical Center obligation to provide timely, equitable care to other patients. Showing respect for other clients, patients and personnel. Meeting financial obligations. Abiding by administrative and operational procedures, including visiting hours, leashing requirements, payment and appointment scheduling and cancellation policies.